This Dohi Shinryo belongs to Jyo-Jyo saku ranking. Shinto : Cyujyo saku ranking : Wazamono cutting test ranking : Settsu province. Blade length : 57.5 cm or 22.63 inches. Width at the hamachi : 3.14 cm or 1.23 inches. 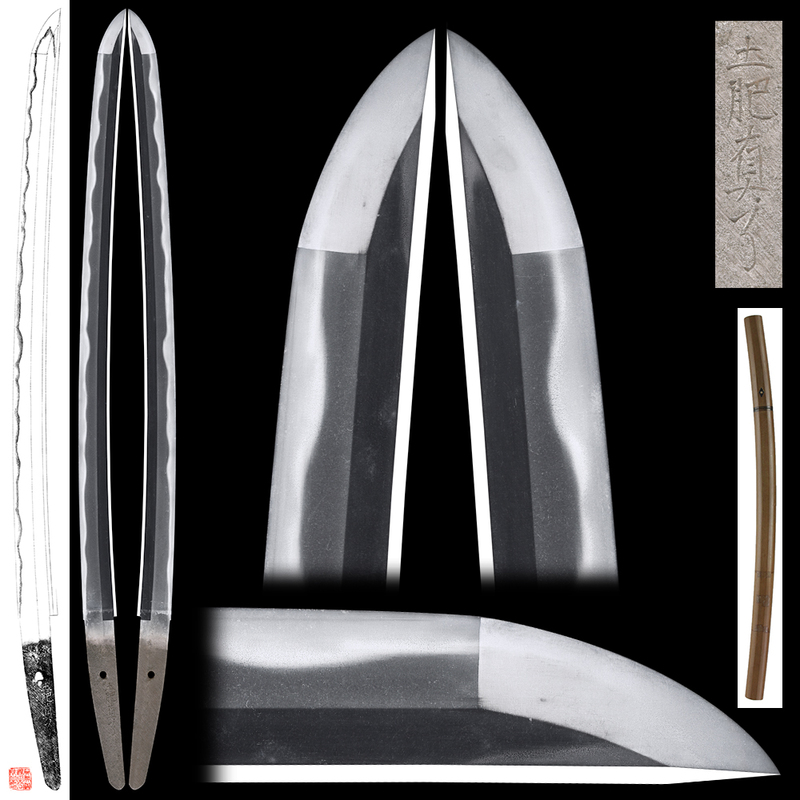 Shape : The blade is wide and thick with suitable Sori and long Kissaki nice looking shape. Jitetsu : Koitame-hada well grained with Jinie attach beautiful texture. Hamon : Niedeki, from Hamachi is deep Nioiguchi Suguha, then it is deep Nioiguchi Notare Gunome-midare. Boshi is round Togari-gokoro shape. 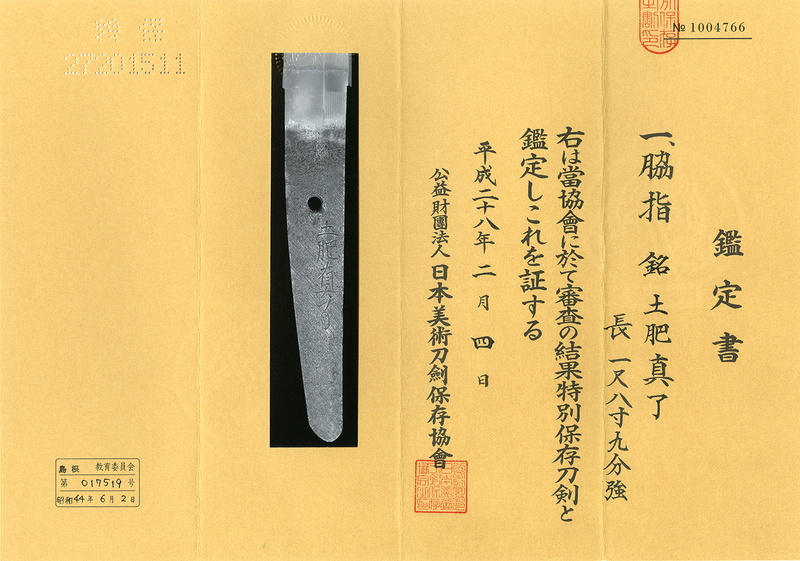 Special feature : Doi Shinryo was a swords smith of Hizen province, present Saga and Nagasaki prefectures. He was born at Hirado in Nagasaki pref as a son of swordsmith known as Doi Masahori. Shinryo learned under the Inoue Shinkai’s clan. Shinkai was a very famous Shin-to swordsmith in Osaka. Shinryo went back to Hirado around Tenwa era, 1680’s and worked for the Matsuura family.